A special congratulations to our new Transformation Program participants who have completed Phase One: Jeannine, Gwendolyn, Annette, Dwayne, Michael and Charles! 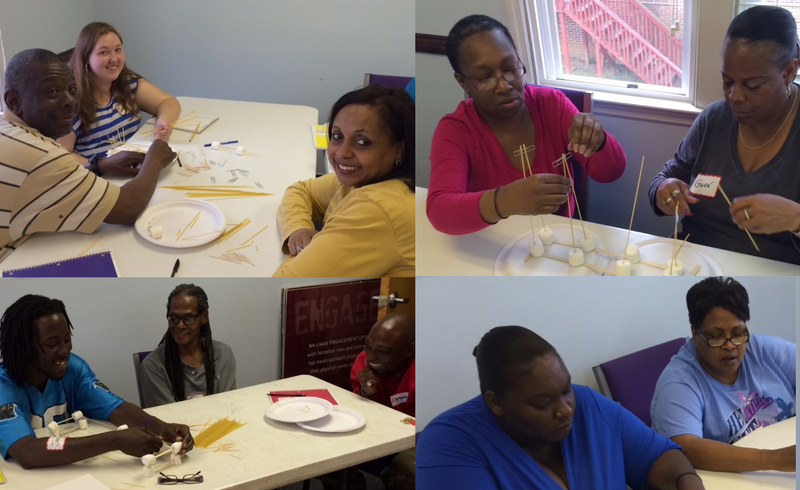 We are excited about their progress and they will begin interviewing for jobs in the next phase! Please take a moment to pray for their continued Transformation by Jesus Christ's power. 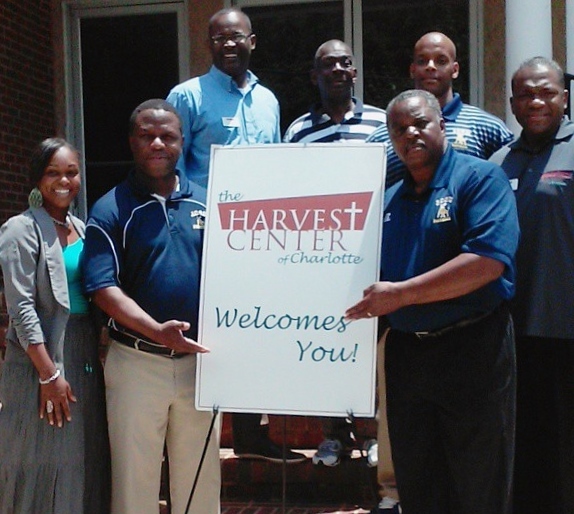 Continuing our summer 2014 Feed the Student-Athletes Collaboration with neighboring Johnson C. Smith University (JCSU), we welcomed the new Head Football Coach, Kermit Blount, and his Staff last week. 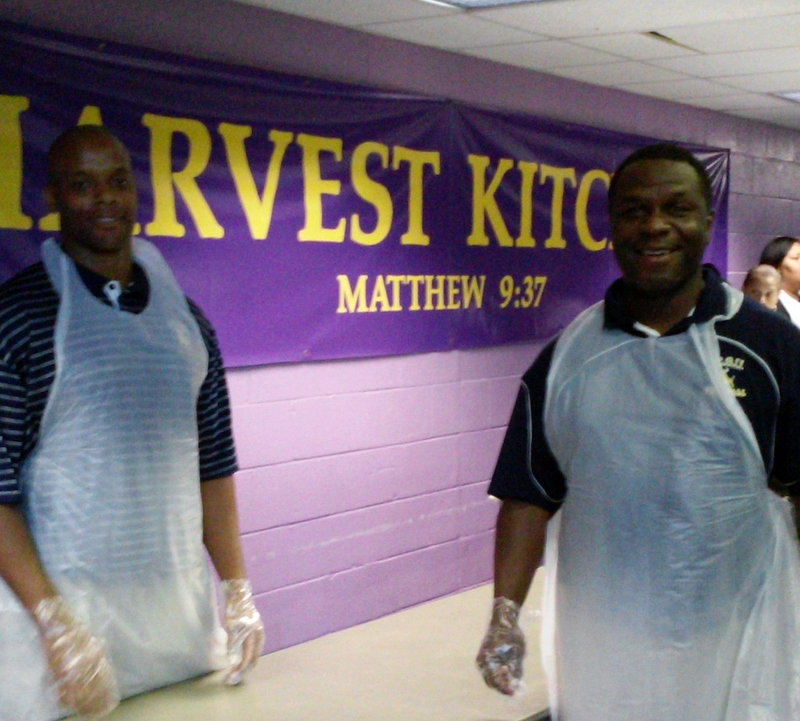 Not only did they come to be served and introduced to the community, but they came to serve as well. We prayed for their success on and off the field, and afterward they went to work serving and cleaning! 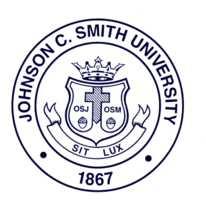 We will prepare and transport 30 meals every week for summer 2015 to JCSU Student-Athletes for nourishment after their long evening practices when the campus café is closed. CANNED FOOD DRIVE: We are requesting assorted canned vegetables and fruit for this and other feeding initiatives at The Harvest Center of Charlotte through August 1! Donations can be dropped off at our physical address between 9 a.m. and 4 p.m. Tuesday through Thursday. We welcomed volunteers from CROSS Missions and AmWINS Group, Inc. (AmWINS) to The Harvest Center of Charlotte earlier this month. 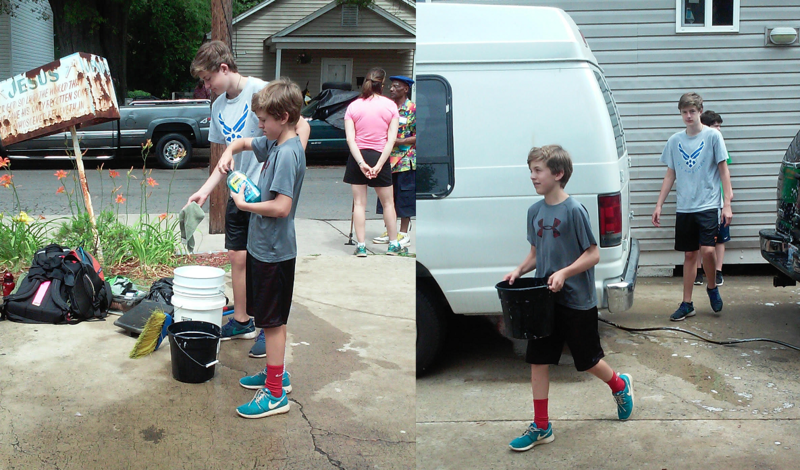 CROSS Missions is an urban outreach ministry for youth of Myers Park Presbyterian Church, here in Charlotte. They challenge youth "to feed the hungry, house the homeless, and love those in need." AmWINS, also based in Charlotte, is the largest wholesale broker in the U.S. as ranked by Business Insurance magazine. 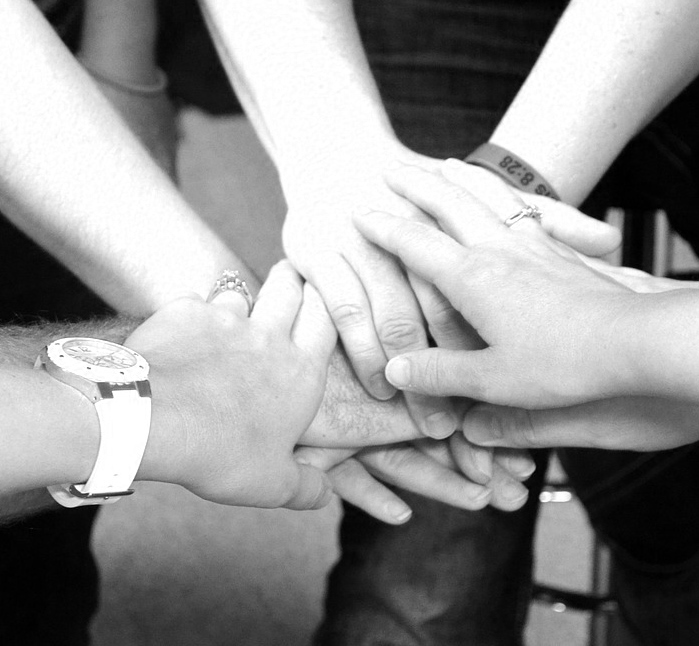 We could not do what we do without the helping hands our volunteers provide, and we're grateful for each one! See how you can get involved HERE. the code HC-BK50 at checkout!! 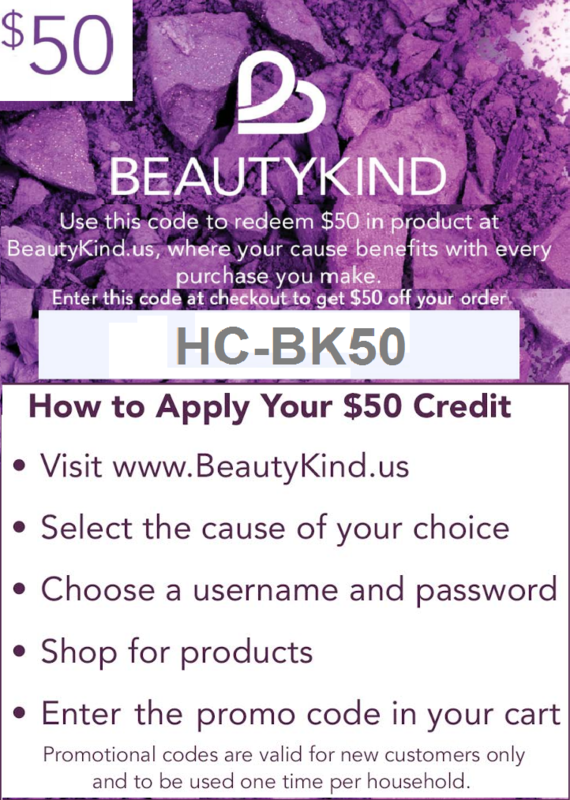 BeautyKind allows you to make great purchases that provide direct financial support to us in service to our neighbors in need. Also, our work is promoted in a growing public marketplace. Sign up and make your purchase to support today! 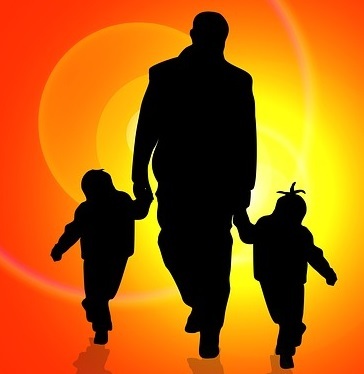 The National Center for Fathering has a free e-guide to encourage intentional and engaged fatherhood.Download the free resource for the fathers in your life HERE. 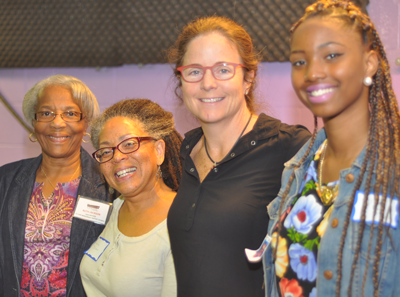 We acknowledge and celebrate all of our donors, volunteers and supporters who are fathers! 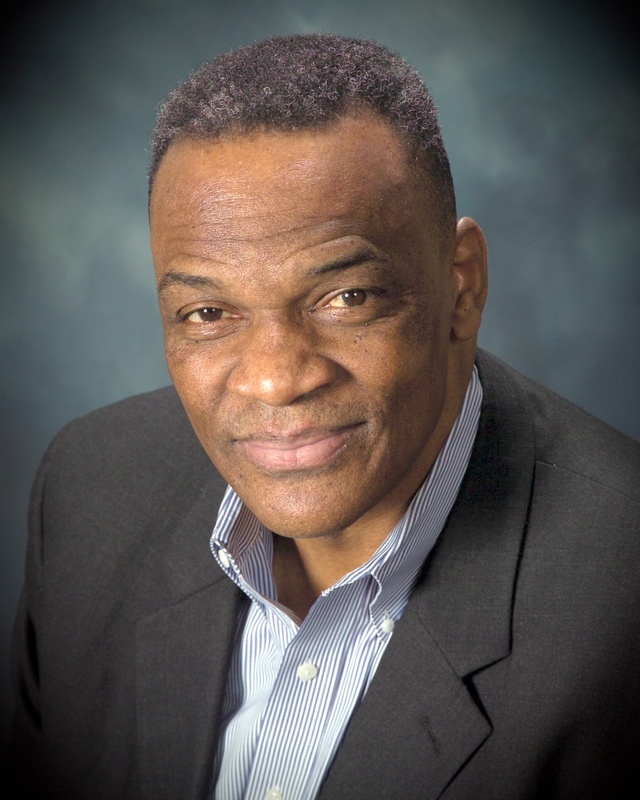 Carey Casey (pictured left) is CEO of the National Center for Fathering. He also keynoted our 2014 Love Thy Neighbor Event. Join Us and Lend Your Support! The incredible work that goes on in and through The Harvest Center of Charlotte is made possible by the kindness and generosity of friends and strangers, in lending their time, talent and treasure. Please consider supporting us by sending a tax-deductible gift.